DW+A has evolved from the initial design practice set up by David Wakefield in 1996. DW+A is now directed by Xavier Wakefield and has grown into a practice of medium scale capable of handling projects from domestic renovations through to large scale commercial developments. National winners of the HIA Building Designer of the Year 2008, DW+A is a design based practice focused on providing cutting edge aesthetics and concepts with a strong, functional resolution. Being an accredited Green Smart office we are serious about environmental sustainability and all of our buildings include elements of both passive and active sustainable design. We are registered to practice in Tasmania, Victoria, Queensland and New South Wales. The practice prides itself on the strong relationship it maintains with all of its consultants and clients through the entire design and building process. We insist that we listen to our clients needs and ensure they have an active role in the design to guarantee a sense of satisfaction on completion of the project. Sustainable living inspired by nature. We believe good design should achieve a natural simplicity. We integrate our knowledge and experience of local materials, new and reclaimed, with passive solar design, natural ventilation strategies and thermal building concepts to create healthy living spaces that are energy efficient and comfortable in all seasons. Good design can be affordable. Small footprints, simplicity of form, practical construction methods and a clever use of materials can be combined to create beautiful functional living spaces for all budgets. Designful is a bespoke practice, based in Hobart, Tasmania. We offer design solutions across the residential, retail, commercial and event sectors. With a mindful approach to our practice, we create spaces that flourish, both inside and out. Our studio’s work is unique to the user. We like to push boundaries and augment ideas. For us, design is a visual language, a practice of contribution and collaboration. Our studio is passionate, creative and resourceful across all disciplines. We favour the modest over the mighty. Where we live, work and play must reflect our identity. We believe good design is honest and cohesive, respecting both its inhabitants and the environment. Whether it’s a home renovation, new building, retail fit out or festival hall, Designful champions authenticity and aims to amplify well being one project at a time. 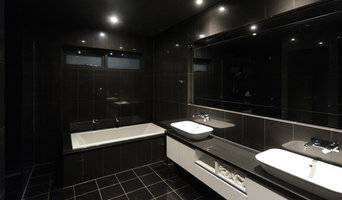 MCE Building Design is a building design firm operating in the Greater Hobart area. We specialise in functional, responsive custom designs for new homes, as well as alterations and additions to existing dwellings. We pride ourselves on our high level of attention to detail and collaborative approach. MCE Building Design will take you all the way through from initial concept ideas through to detailed drawings for building approval. We manage the entire planning, building and plumbing approval process for you. We are experienced at liaising with all the third party service providers (e.g. Council Officers, Land Surveyors, Engineers, Building Surveyors) required to obtain the necessary approvals, ensuring a smooth and worry free process for all of our clients. 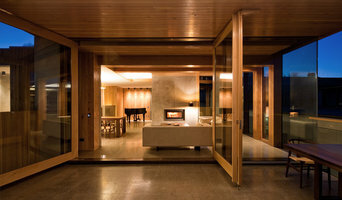 Clever Design is a proven multi-national award winning boutique design practice with a niche in innovative, contemporary, sustainable, passive solar building design. Our passion is pursuing excellence and challenging conventional to deliver creative, dynamic and pragmatic sustainable building design solutions. 100% buildable designs are our core philosophy using methodologies in a holistic 3D BIM environment. 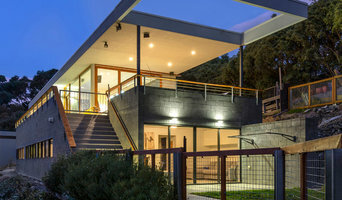 How do I choose the right Cambridge, TAS, AU architect? Begin by determining the type of architectural service you require. Is it merely advice that you need? Or a detailed set of architectural design plans? Are you hoping to add a single-storey extension or are you really looking for someone to design you a custom home and handle construction management right through to completion? One of the most important duties of full service architects in Cambridge, TAS, AU is to serve as project managers and supervise most aspects of construction as well as facilitate communication between all other contractors. Architecture is an incredibly technical profession and one where getting things wrong can literally put lives at risk, so do background checks on your Cambridge architect. Check they are registered with architecture associations such as the Architect’s Registration Board (ARB) and The Royal Institute of British Architects (RIBA). Being part of an architecture association means that an architect or architecture firm has met certain standards, qualifications and practices, and can be held accountable if they don’t meet these standards. It’s advisable to choose architects that specialise in the kind of project that you are undertaking as their existing experience will shine through in the completed design. 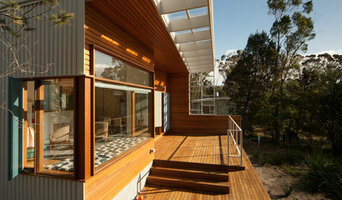 Look for an architect in Cambridge, TAS, AU that can provide references and reviews of their previous work. Once you have determined the service level you need, your next consideration will be architectural style. Some architects specialise in designing for traditional housing such as period cottages and country homes, or even in designing modern replicas in a period style. Others have a knack for imagining bolder, more futuristic architectural design in Cambridge, TAS, AU incorporating the latest green technology. Check their Houzz profile and website for examples of previous work. Early on, try to gauge availability – there’s no point in choosing an architect that’s going to be booked for months if you have a tight deadline. Some architects are happy to do all their work online or over the phone with you, but if you’d prefer to work with an architect in person then check that your chosen architects in Cambridge, TAS, AU will travel to you. At the first meeting, preferably at your property or building site, give as clear a picture as possible of the kind of home you are trying to create to your architects. Chat through your goals, projected budget, scope of work, schedule and feedback, together with any very specific requirements you might have. It is crucial that your architects are clear about their responsibilities and that these are documented in the contract. Ask them to walk you through the process, including the number of architectural design consultations, site visits and what they will be delivering and when, e.g. feasibility study, a technical drawing, tender package and/or planning application drawings. They could illustrate this using a previous client’s project. Also, what does the architect need from you? Deeds, rights of way, deposit, staged payments etc. Once you have covered all this detail, you are ready to make your choice and get started. The architecture company in Cambridge, TAS, AU that you hire will likely start with concept drawings and finish with construction drawings and documents. Some firms even design with 3D renderings, CAD and videos, but this is by no means essential. You are looking for architects in Cambridge, TAS, AU that have the right balance of creative flair, technical nous, practicality and impeccable service to see you through. Get a sense of whether they are a good listener, collaborator and problem solver. Checking their references will also be invaluable at this stage so look at their Houzz profile for past customer reviews. Ask to speak to previous clients, particularly regarding their responsiveness and ability to work creatively around a budget. There is no set payment structure for an architect. Some Cambridge, TAS, AU architects will charge an hourly rate, others base their fees on a percentage of the total construction cost or propose a fixed fee (payable in instalments) for projects such as house extensions or a complete home design. You may wish to pay in stages to safeguard against any possible dissatisfaction with the quality of service. Make sure the total figure and payment schedule is agreed as part of your contract, particularly if you are trying to accurately estimate the cost of building a house. What are the important questions to ask architects in Cambridge, TAS, AU? How long have you been an architect in Cambridge, TAS, AU? Are you part of ARB and RIBA? Are you part of any other associations of architectural design in Cambridge, TAS, AU? 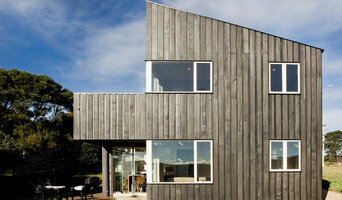 Find architects in Cambridge, TAS, AU on Houzz in the Find a Pro section today. Start by browsing the architects and Cambridge, TAS, AU architectural design firms near you and assess their reviews, latest projects and contact details.